Firstly, in the Administration track, I will share the stage with my great co-speaker Bill Malchisky. After getting quite positive feedback on our Engage session back in March, we decided to improve and present the same topic at ICONUK. It's Friday and a new customer calls. Their mission critical app is taking :05 to open documents and the users are quite concerned. Where do you start when handed a 20 year old application you have never seen, on a server you barely know? 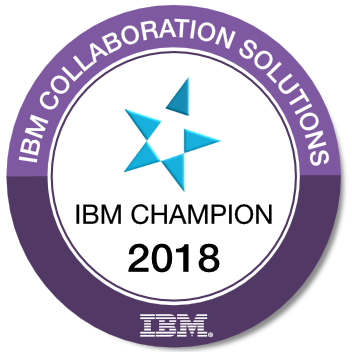 Join two IBM Champions as they dissect a complex Domino performance problem from both the administration and development side to provide a complete customer solution. The session includes best practices around problem solving techniques and a checklist you can use internally to solve quickly problems you encounter. The second session is about a topic I wanted to share for a while. As an hot topic, people are looking into solutions for integrating different UI frameworks into XPages applications. I have been using Apache Wink servlets API for JAX-RS and wanted to share my experiences in a session. REST Assured, Freeing Your Domino Data Has Never Been That Easy! XPages provides a great application development platform, combining the power of the IBM Domino server with a modern Java-based architecture. While this unique combination creates a whole new world of possibilities, we still need more capabilities, especially regarding the ongoing trend where the front-end and the back-end architecture are changing. Your boss and your users expect great user experiences - period. In this new paradigm, you have a new mission: Integrate your existing application data and business logic with a new front-end. Luckily, we have a great gadget hidden in our toolbox: Apache Wink Servlets, which gives you the power to design RESTful services for your Domino applications with only few lines of code. This session will equip you with the skills and techniques to use this hidden gem and help you to understand the advantage of Wink servlets.